DURING THE PLANNING stages of this extremely unique bowtie-themed Street Trucks issue, we debated what kind of Chevy truck tech we should include in this month’s book. 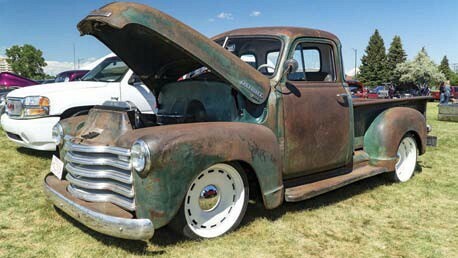 A few thoughts that were thrown around included classic Chevy restomods, modernday modifications and even some aftermarket fertilizer for your Silverado’s powerplant. 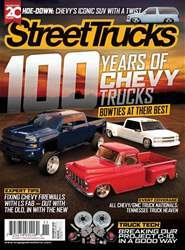 All of these articles would be an interesting read for any truck lover, but instead of just focusing on one, we decided to go ahead and pick a few our favorites. The goal is to include a little info for a lot of gearheads, more specifically the ones who favor the bowtie brand. Deciding on the items to highlight in the story was definitely a tougher challenge than we first expected. There are so many great products in this industry that we can truly stand behind based on our testing and experience, and narrowing them all down to these three choice upgrades required quite a bit of effort. Whether you’re young or old, classic or modern, lifted or lowered, we have you covered. So which modification are you doing next?